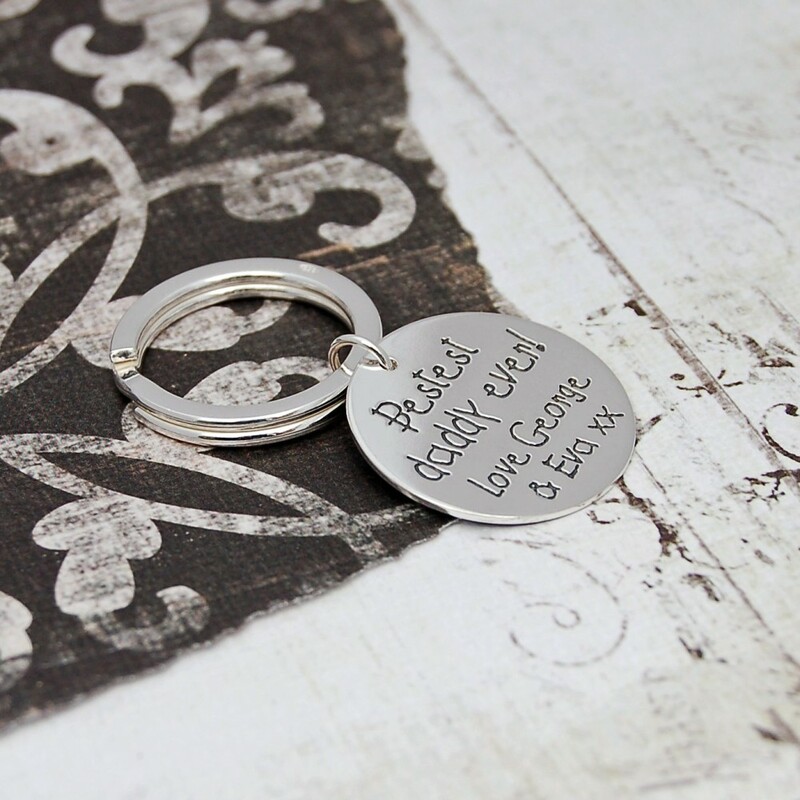 Carry precious memories wherever you go with our handmade sterling silver keyring, which you can personalise with your own special message. 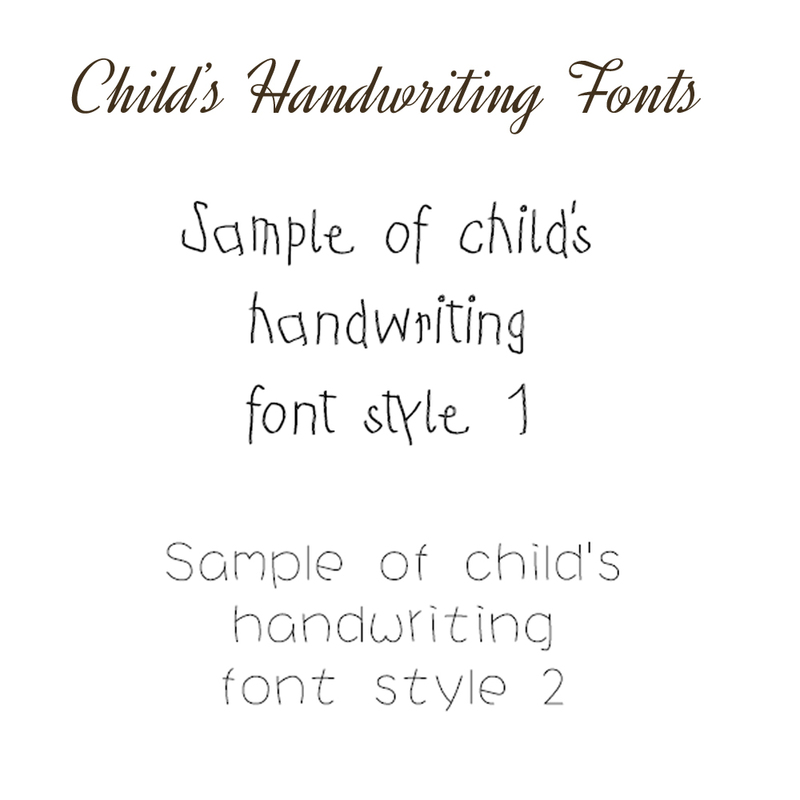 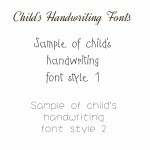 Our child’s handwriting fonts are perfect for messages from little ones to their Mummy, Daddy or Grandparents and this personalised keyring can make that perfect gift for a number of occasions, whether it is to celebrate a Birthday, Father's Day, Mother's Day or the birth of a new child, this uniquely special keyring will be treasured forever. We can accommodate up to 40 characters on both sides of the keyring so there is plenty of space for your special message and we have a number of different styles of children’s handwriting fontsfor you to choose from. 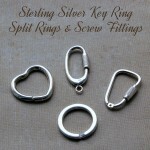 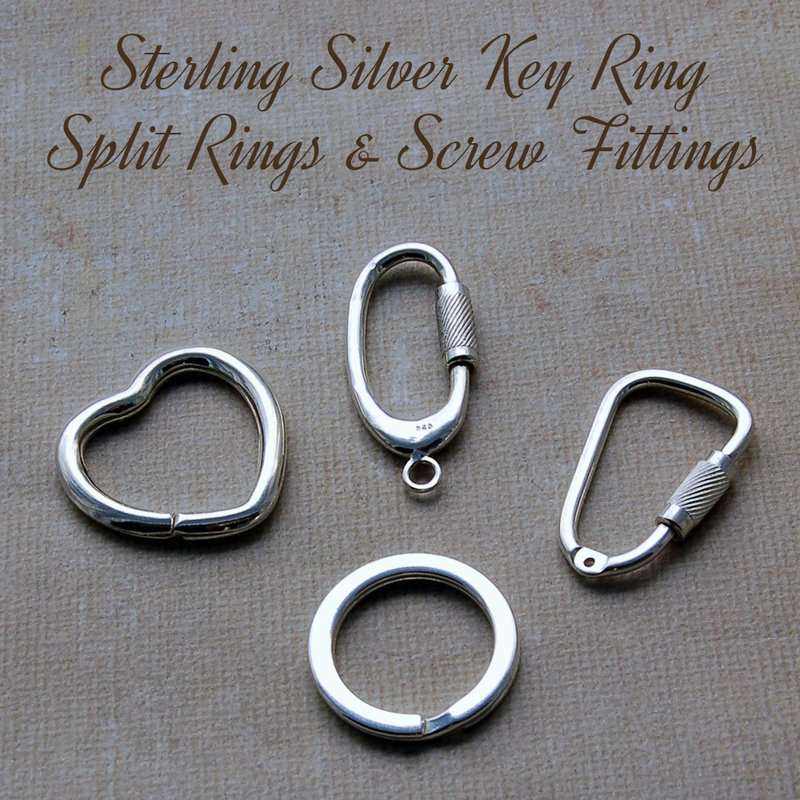 The main etched disc is made from sterling silver and the key fob/fittings are available in either stainless steel or sterling silver. 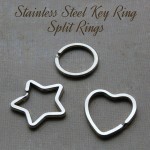 The sterling silver disc measures approximately 2.7cm in diameter and is 1mm thick. 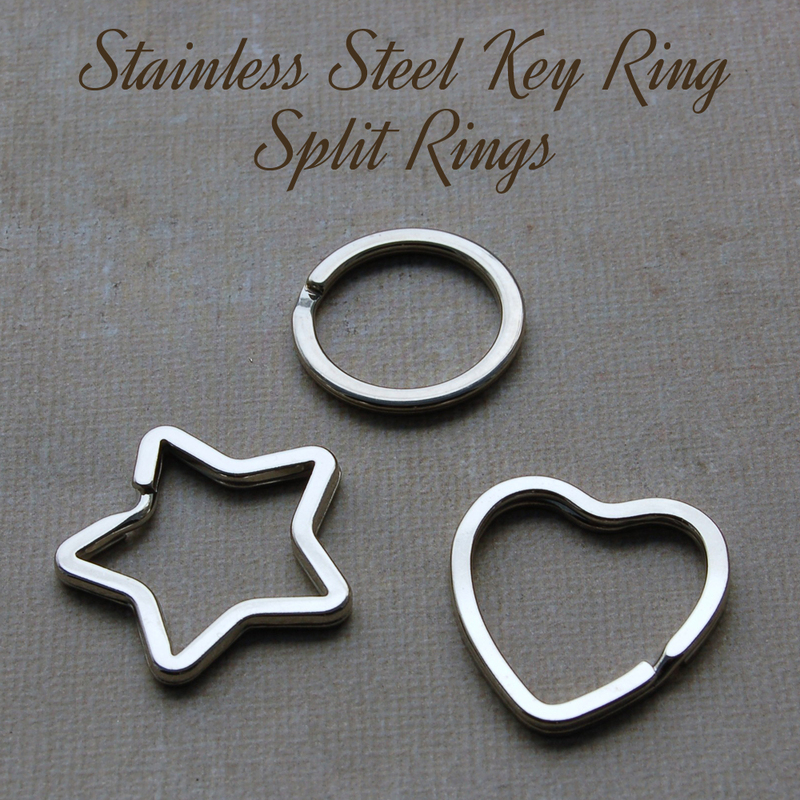 The round split rings are approximately 2.8 cm in diameter, the heart split rings 3 cm, the star split ring is 3.5 cm across the widest point and the screw type fittings are approximately 3.4 cm long.